As a local actor from Boston Yvonne Murphy has had the pleasure of working extensively with youth in theater by way of ‘KidStage’ at the Boston Children’s Museum, Wheelock Family Theatre, ShakespeareNOW! (Touring) Theatre Company, and presently with Behind the Mask Theatre – playing in schools [faire des jeux en masque] throughout New England this Fall. 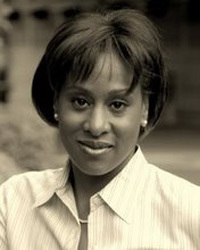 A recent recipient of the Best Supporting Actress Award at the 2007/8 EMACT Festival (“Raisin in the Sun”/Footlight Club), Yvonne has also been honored with two IRNE Award nominations: Best Supporting Actress (“Pippi Longstocking”/WFT) and Best Ensemble Performance (“Spell #7″/Company One). Having had the pleasure of working with such companies as: Up You Mighty Race, Another Country Productions, Zeitgeist Stage, and Acme Theatre just to name a few, she is delighted to be joining the AiR Collective at Playwright’s Platform.